I’ve never seen this picture before, so I thought I’d share it. 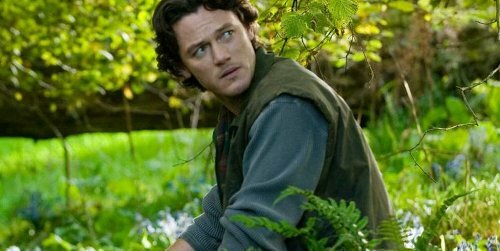 As we’ve already said there are many new stars to The Hobbit cast and many of our beloved favorite LOTR characters are returning. 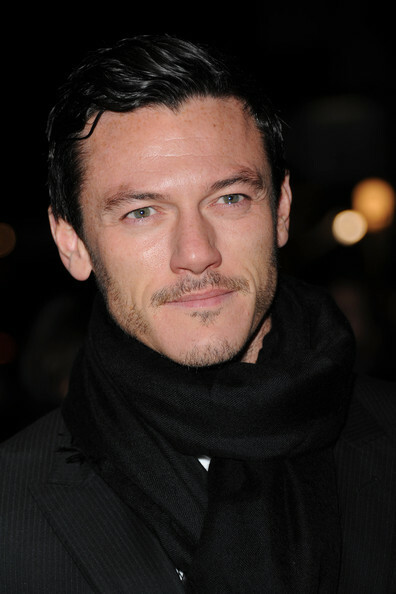 One such new member of the cast is Luke Evans (as Bard the Bowman) who is very greatful to be joining. “I was just very jealous of them, in a healthy way, but it was always something I was envious of. And now I’m here, and now I’m actually one of those boys. I’ll always remember this as one of those experiences in my life. Aren’t we all a little jealous of the amazing experiences the cast of LoTR get to have working with Peter Jackson while seeing the beautiful New Zealand countryside? We can’t wait to see Evans in this movie joining this fantastic cast. 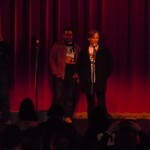 What a treat this audience received when they went to see a screening of the LOTR trilogy (extended editions) at the Coolidge Theater in Boston. They actually had awarded him the Coolidge Award. So, he spent a couple of minutes talking about his LOTR fun facts, and then probably the best part was the last 30 seconds of the video.